The first ever spiced rum from Quebec blends six indigenous plants for a natural and less sweet tipple than others on the market. Canada might have increased its roster of home-grown spirits in the past few years, but it tends to be gin that gets all the headlines. 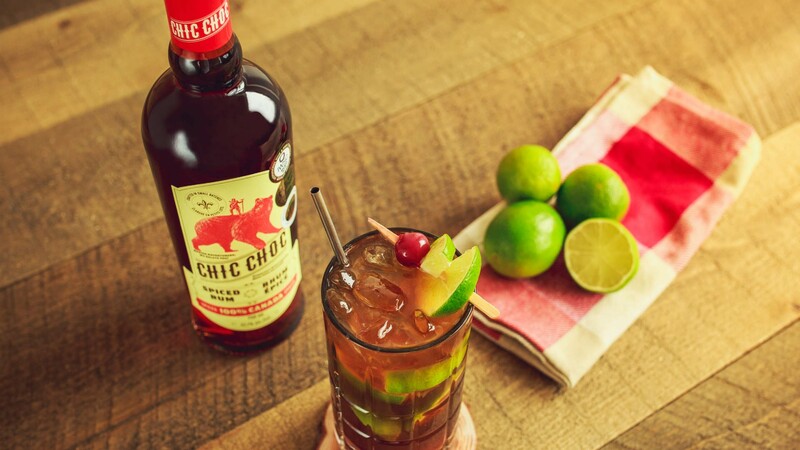 So we were thrilled when a Canadian rum found its way to Foodism HQ, breathing new life into our Cuba Libre. Chic Choc Spiced Rum is something of a unicorn in the spirits sphere, positioning itself as the first spiced rum to come from Quebec and the first to be infused with a selection of Nordic spices from a mountain range in the central region of the Gaspé Peninsula. Though its title might suggest a chocolate flavour, the rum is actually named after the Chic-Choc Mountains in Quebec where it gets its unique blend of sweet and savoury herbs, including peppery green alder, witherod berries, sweet gale seeds, and wild angelica. Captain Morgan and Sailor Jerry may have cornered the market when it comes to the spiced spirit, but there's plenty of room to shake things up with Chic Choc, which is made from 3-8 year-old rum. The amber coloured rum is not as sweet as its siblings and offers more spice, pepper, and cinnamon on the nose. The warming cloves and orange notes will definitely provide some winter solace, but its minty finish makes it great simply on ice in any weather. The label – a roaring bear who looks pretty peeved about the explorer balancing on his back – certainly hints at the adventurous spirit of Chic Choc. However, we think the chances of this well-balanced spiced rum becoming a home bar staple is a pretty safe bet.